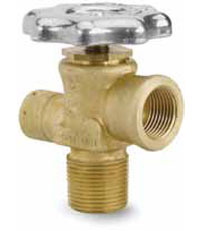 Sherwood brass diaphragm valves are designed for use with liquefied gas. It is highly suitable for propane, butane, fuel gas applications, refrigerants and sterilant gas applications. Made from high density forged brass body and two stainless steel perforated membranes for longer durability. The brass diaphragm valve is tested for reliable performance at the in house test laboratory. Keeping in mind the changing pace and the need of the customer, Sherwood’s valve has designed the best quality diaphragm valves. Sherwood is recognized as the world leading in product quality, innovation and product design. Being the largest diaphragm valves suppliers, JTC valves offer brass diaphragm valves for your industrial use manufactured by Sherwood which is ISO9001. Sherwood is the premier manufacturer for brass diaphragm valves, regulators and gas control products that are used in industrial gas and liquefied cryogenic liquid industry across the globe. Diaphragm valves are also called as membrane valves which is a flexible disc, which responds to the pressure and closes the valve. The brass diaphragm valve is made up of a brass body, two or more ports and a seat on which the diaphragm closes the valve. Sherwood brass diaphragm valves and the complete range of safety valves are manufactured at the facilities in USA. The highest quality raw material goes into the making of these valves after a stringent quality control process just for your safety .